We always discuss with clients that it’s one thing to build up a social community on sites like Twitter and Facebook, but it’s how the business then converts these visitors to leave the social media site and head to the company’s website. Great social media marketing campaigns aim to increase onsite website results, so it is important that referral traffic is tracked and measured including traffic sent by social sites. 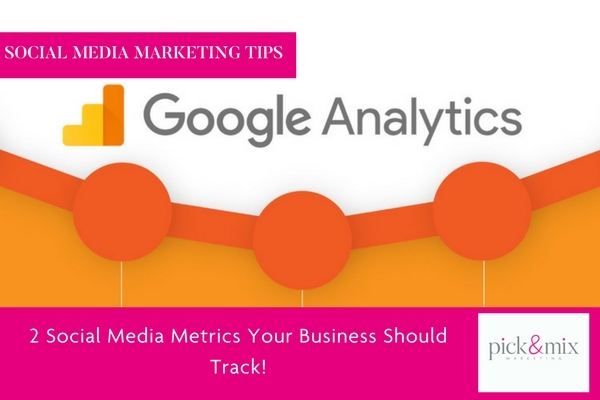 Google Analytics now includes social media traffic monitoring which makes this a simple and easy task to complete. You can track which social media site has sent the most referral traffic, as well as the relative bounce rate, average time on site and pages viewed per visit of each social site’s visitor base. Pay special attention to the traffic metrics from your social media sites they may show you differences in the performance of one social network versus another. This will help you to develop the right social media strategy moving forwards for your business. This is the most important metric and will tell you what is working for your business. If you’re using social media sites in order to generate some type of measurable activity on your company’s website, whether these activities (or conversions) occur as product sales, newsletter sign-ups or another action, it’s important to ensure that the time spent on social media marketing is creating referral traffic that converts on your website. You can use Google Analytics ‘Goals and Advanced Traffic’ segment to measure these conversions. Google Analytics goals enable you to determine when a specific action occurs on your website. You can customise these goals to measure any of the conversions. In addition, ‘Advanced Traffic’ segments allow you to break down your analytics data by individual traffic sources. As an example, by creating a segment that looks at the onsite activities of your Facebook visitors, you can split up your goals data to determine which social sites are sending you the most conversions. At least once a month, take the time to measure the number of conversions generated on your site by visitors from different social media websites. By taking these measurements and adjusting your social media campaigns, you’ll ultimately ensure that your social media investment will bring more value to your business. If you would like help to understand what your website visitors are doing, what content they are most interested in on your website by using Google Analytics, please contact us on 01904 863511 to discuss training opportunities.